If you’ve ever made bread in a standard bread machine, you know it essentially gives you a perfect loaf with the right ingredients. When you enjoy homemade pizza, however, you need raw dough to roll out and hold ample toppings. By scouring bread machine reviews, you can find an appliance with a dough setting to make perfect pizzas each time. Today’s best bread maker models have more settings than you may ever use in a lifetime. If you’re a pizza fan, you want to look at several bread machine reviews to find models with the pizza dough setting. Unlike other bread treats, you don’t want the bread maker to mix, knead and cook the ingredients. You simply need a mixing and kneading procedure. The pizza dough setting knows when the kneading process is complete, giving you a strong mixture ready for the rolling pin. Even children can set the maker and have dough ready for a gathering. The best bread maker mixes both wet and dry ingredients with no clumps within the mixture. Start by adding your wet ingredients to the bread pan. Olive oil and water are typical additions to the pan. The flour is poured into the wet ingredients afterward. Sprinkle any other dry ingredients, such as salt or sugar onto the flour mixture. As the appliance kneads the dough into shape, the flour naturally binds to the wet ingredients. If you add flour first and then pour the wet ingredients on top, the mixture probably won’t mix or rise correctly. Although you may have read bread machine reviews about appliances making dough rise with just basic ingredients, you still need to add the power of yeast to make pizza dough consumable. By creating a small hollow in the flour, you add yeast to this area. Avoid mixing the yeast with the wet ingredients, however. You need the yeast to make contact mainly with the flour to start the rising effect. 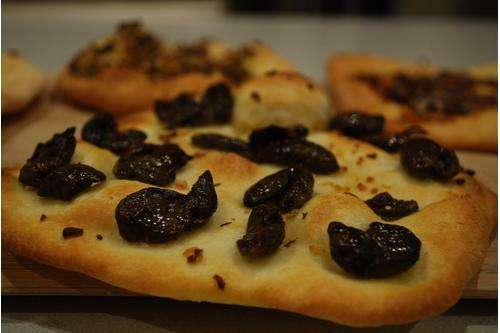 Air bubbles produced by the yeast give the pizza dough its workable shape for perfect meals. All bread machines have slightly different rising times, especially if you live at an elevation. If your maker has a transparent lid, take a peek every 10 minutes to see if the mixture is truly combining evenly. When all the ingredients are added properly, you should have no problems. The rising and mixing process may take as long as 90 minutes. Don’t pull the dough out too early. When the rising process isn’t completed correctly, the dough loses its air bubbles, reducing the mixture to a thick texture difficult to roll. The bread maker should signal when the mixture is finished. Pull it out as soon as you can to roll it out. The yeast can continue to rise slightly if left to sit, making the dough a little too light and fluffy for pizza. 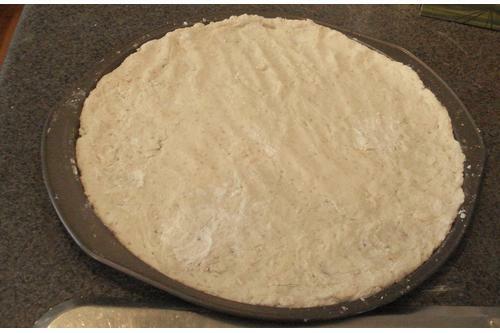 Use a rolling pin with plenty of flour to quickly create a pizza shape. Because the bread maker performed the entire mixing and rising process, your pizza is quickly built and baked in the oven. If you’re making more than one pizza, start another dough batch in the bread maker to keep the assembly line flowing. Whether you need thin or thick crust pizza, the best bread machine that understands the need to home pizza lovers is one that comes with a dough setting on it. Trust me. Getting the best bread machine is something that you don’t want to skimp. Other than capable of making awesome loaves of bread, it is your ticket to a tasty pizzalicious meal! 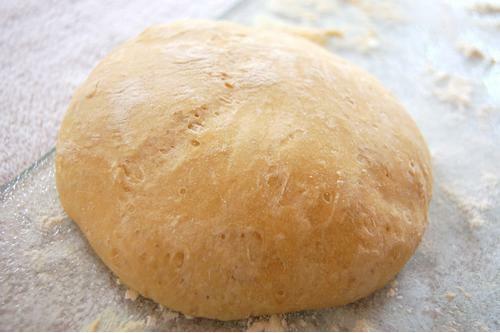 Add your ingredients to the bread pan in the right order to make a well-mixed dough that rolls easily. Even make pizzas for a party to save on delivery costs. 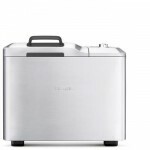 The applications are endless with the best bread maker. 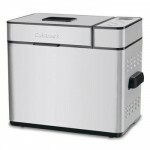 Does Cuisinart CBK-100 Have What It Takes to be Good Bread Machine? 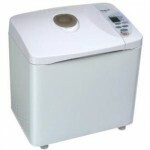 Is Breadman TR520 a Good Bread Machine? How Good is Breadman TR875 Really? Disclosure: breadkitchenstory.com is participating in the Amazon Services LLC Associates Program, an affiliate advertising program designed to provide a means for sites to earn advertising fees by advertising and linking to amazon.com.